This is a sneak preview of Rifts® Secrets of the Atlanteans™. This sneak preview includes the front cover, credits, contents, intro, and portions of the following: Atlantean Society, Atlantean Clans, True Atlantean O.C.C.s, The Sunaj, the Sunaj Shadow Mage, Shadow Magic spells, the full Atlantean Crystal Mage, the Stone Master Revisited, New Power Tattoos, Atlantean Pyramids, and the Shadow Dimension, including part of the Shadow Wraith. 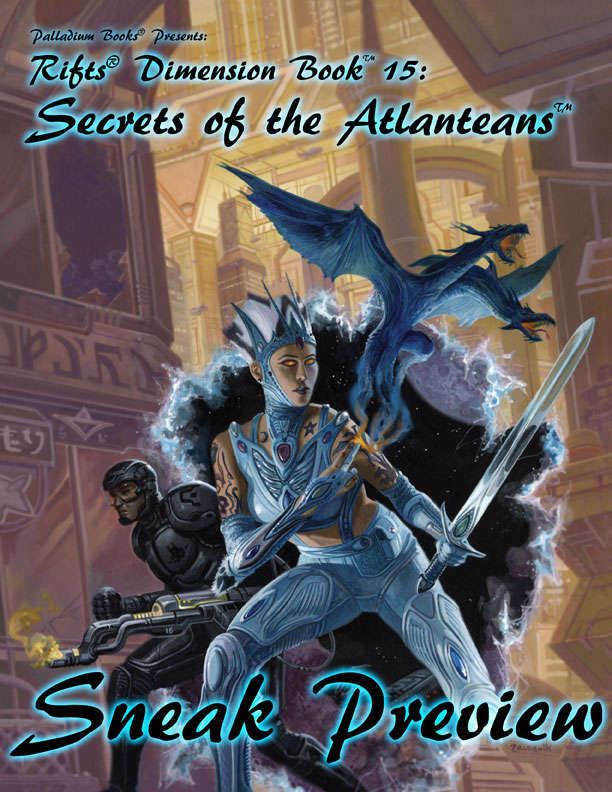 Secrets of the Atlanteans™ will be available from Palladium Books in August, 2017. For more information, please visit our website. This title was added to our catalog on July 21, 2017.